Nowadays, Most of power users are used to multitasking when working. To skip between each open programs we usually use the keyboard shortcut ALT+TAB. However, this shortcut doesn't work when you're moving between worksheets in the same workbook in MS Excel. But no worries; there are a couple of neat little shortcuts that handle the job quite nicely. I admit that I don't use standard typing techniques. For over 8 years in IT It just happened that I know where the keys by heart so I let my finger find the key to press. But if your a secretary or a documentation officer you might need to learn the standard typing practice. 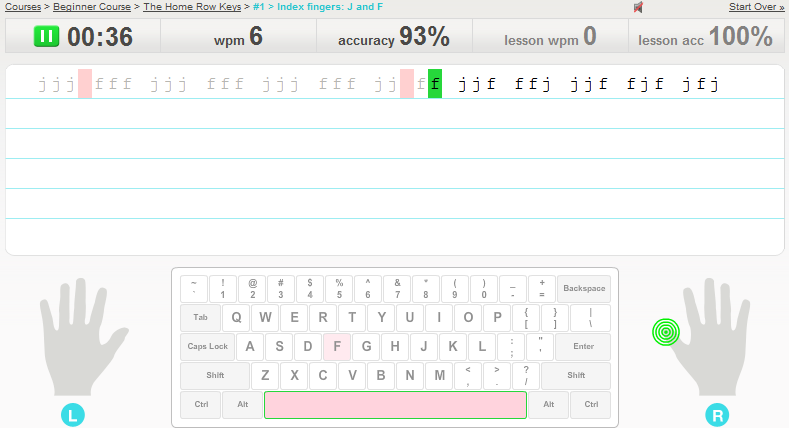 This morning, while reading articles on my Google reader, I stumbled with this great online typing tutorial. The tutorial is free and divided to different courses. Each courses consists of several lessons. 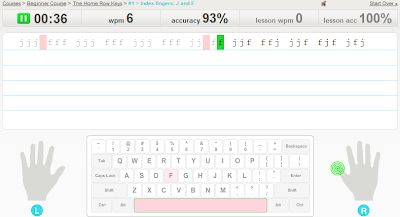 The first courses show the computer keyboard and fingers that should be used to type the requested key. This is helpful for users who need some visual guidance in their first lessons. Try it for yourself by visiting TypingWeb website. Email number 2. This one came from a Very Important Person at our head office. And his email goes like this. foxtrot. How do I get rid of this character "¶"? I don't how you call it. Please reply asap. 1. Go to Tools > Options. 2. On the Options dialog box, click the View tab. 3. Then under Formatting marks, uncheck the paragraph marks. 4. Click OK to apply changes. Hi there! Is there a way I can animate a text on MS Word document? Please don't ask me the reason why I need it. 1. Select text you want to animate. 2. Right-click the text and choose "Font" from the popup menu. 3. 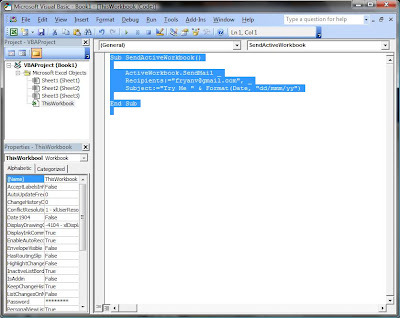 On the multi-tabbed dialog box, click the "Text Effects" tab. 4. Now, select an animation that you would like to see. You can see examples of each animation in the preview window. 5. When you are done, press "OK" to close the dialog box. Another VBA macro request for the day. A fan from Plurk private message me about her problem. Hi there! I need an office hack to delete blank rows on my existing workbook. It has over 1000 rows. I just can't go through each line. It could take me days to do that. Do you have any suggestion? To delete blank rows in excel workbook using VBA Macro. 2. 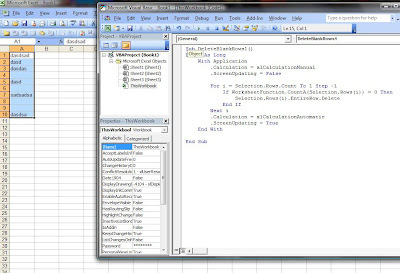 Open the VBA Editor by going to Tools > Macros > Visual Basic Editor. 3. Now click the ThisWorkbook icon on the left pane and paste the following code on the blank space at the right window. 4. 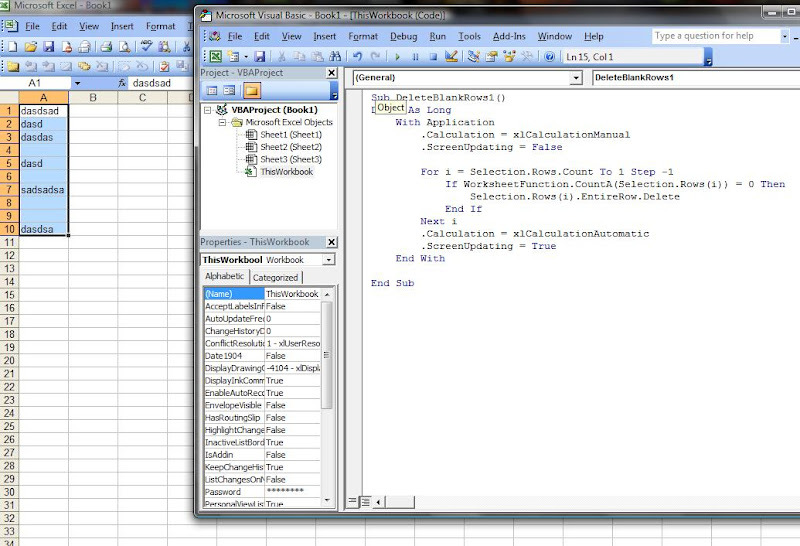 Now switch to your workbook window (don't close the VBA editor). Select the range you want to remove blanks. Hi foxtrot. 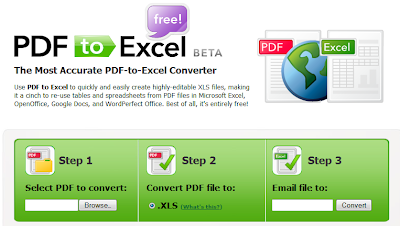 Can you please take a look on the attached excel workbook. I want my secretary to be able to send this workbook from within excel. 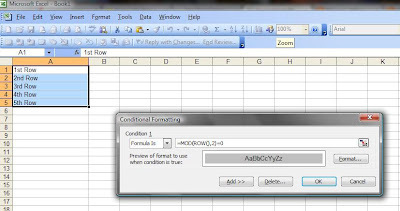 Fortunately for me, Excel VBA can send emails from within Excel and even send the Workbook as an attachment. How? 3. 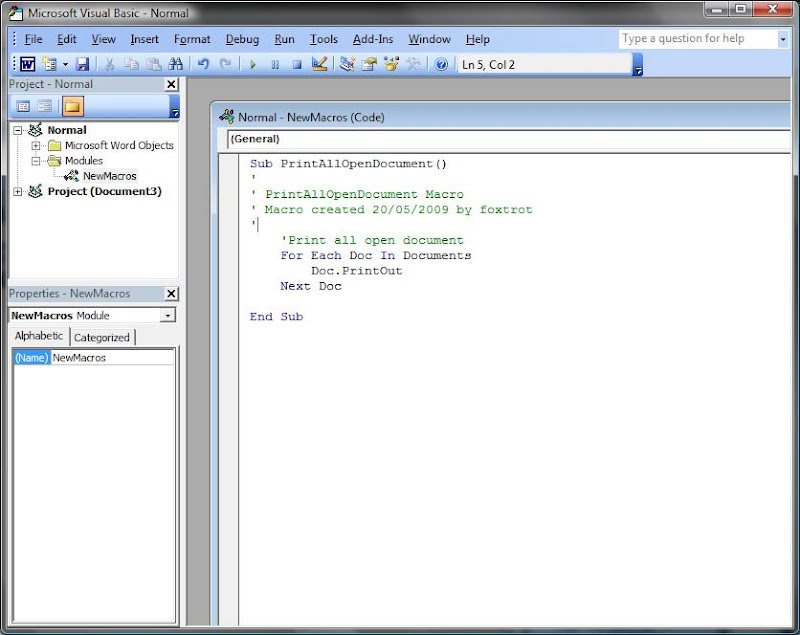 From the left pane, click ThisWorkbook and paste the following code on the blank white space on the right pane. Dzzzz. Dzzzzzzzzz. My cellphone is vibrating. Unknown number. I wonder who's calling..
Bro, This Georgy! Long time no hear! Yeah men. How are you? Let's talk later ok? I need help right now. 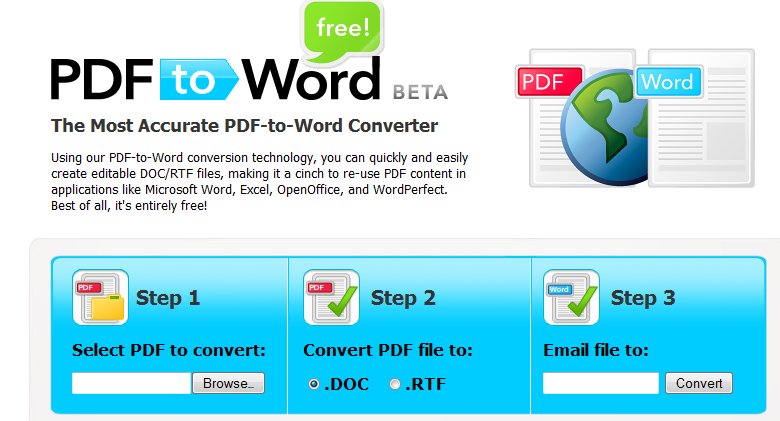 Do you know a free PDF to Word document converter? 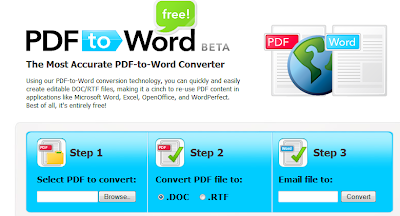 PDF to Word is a free online tool that quickly and easily create editable DOC/RTF files, making it a easy to re-use PDF content in applications like Microsoft Word, OpenOffice, and WordPerfect. So do I have to make another file for the new version? Ofcourse NO. 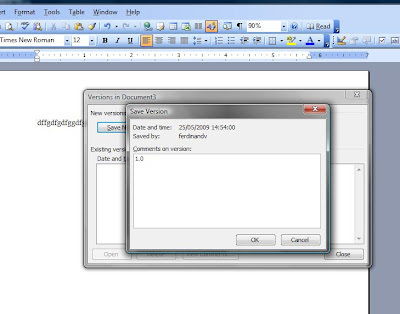 MS Word has this feature called "versioning". One file will contain all the versions and will increase the file size. 1. Choose Versions from the File menu. 2. Click the Save Now button to save the version of the document. 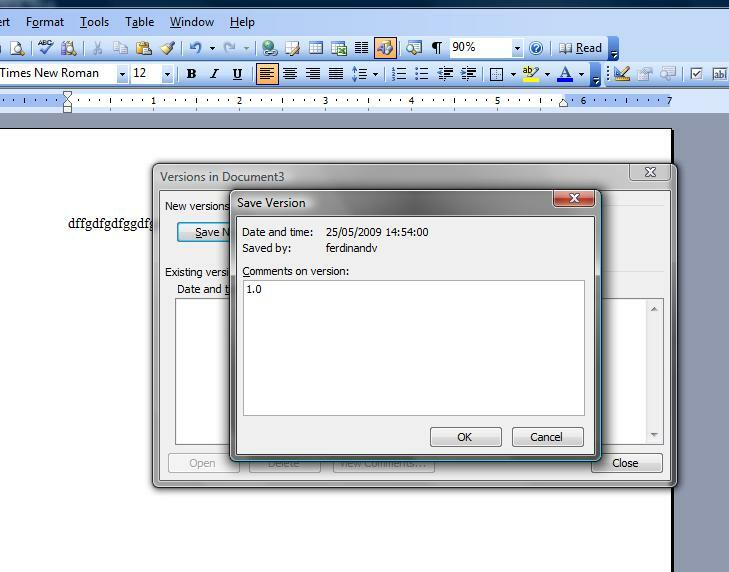 Word saves the author and datetime of the version. You can also add some comments to each version. To open other version of the word document. 2. Select the version you want to open then the Open button. It will be open in a separate window. 3. 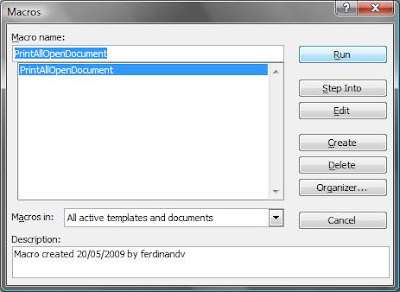 If you want to save the current version on another file, click Save As.. from File menu. How do I change the default document font in Word? 6.45AM Tuesday Morning, Just arrived at the office and tuned-in to Magic 89.9 to listen "Good times with Mo". Suddenly my phone is ringing... What the?? Its too early for work. Thanks God you already there. I need help for my boss. 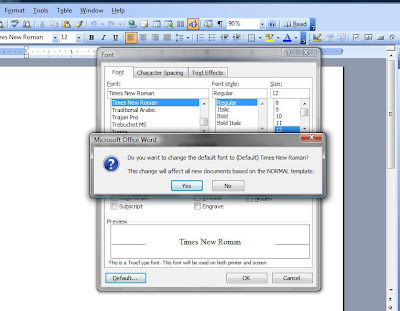 Do you happen to know how to change the default font for MS word document? 1. Go to Format > Font menu. 2. Select the font and change attributes you want for your default font. 3. Click the Default button. 4. Word will notify you that this change will affect all documents. Click Yes to confirm. It was already 10:28 AM, Orlando Magic was ahead by 7 against the Cavs. Nitz approach me to ask something. Hi, I'm not familiar with MS Word. Is there a way I can track changes on my word document? I can do it on Star Office. Ofcourse there is. Take a look at this (point to my monitor). 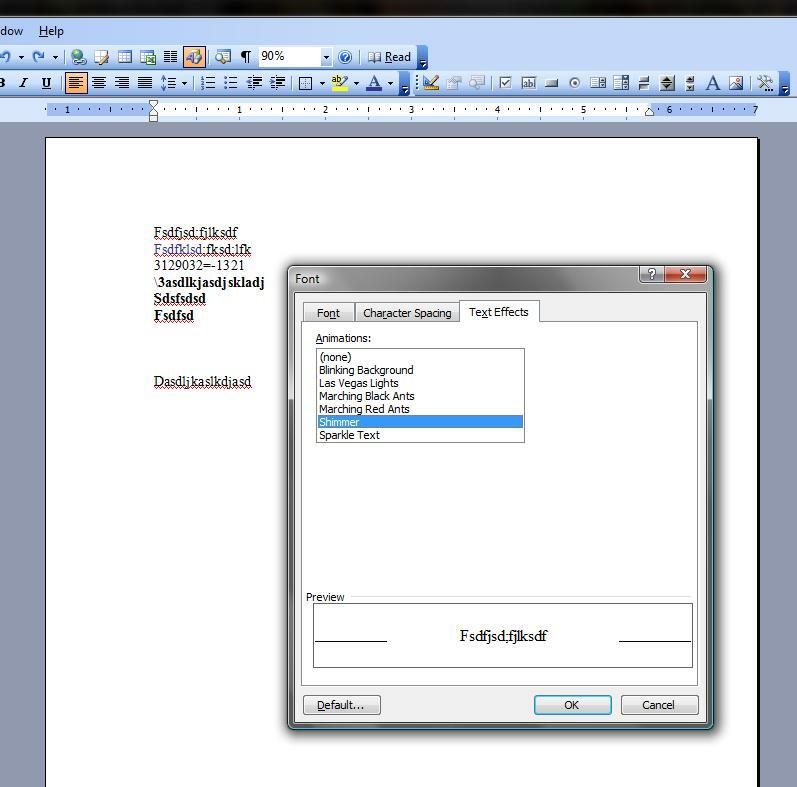 Word track changes feature allow an author to retain deleted text to be accepted or rejected once the document is finalized. With the feature activated, Word "red lines" text deleted from the original document so that is visible, but distinct from the surrounding text. 1. Save your first draft. 2. Click the Tools > Track Changes menu, the Track changes toolbar should appear. Now every time you make changes on your document, you'll see that Word displays the changed text. Place the mouse pointer at the line of the document that is showing tracked changes. Choose Track Changes from the Tools menu, then select Accept or Reject Changes. Monday morning, my favorite day of the week. Not because I'm work alcoholic but because it is the only day of the week I can enjoy sitting on my favorite office chair and sip my favorite morning coffee. 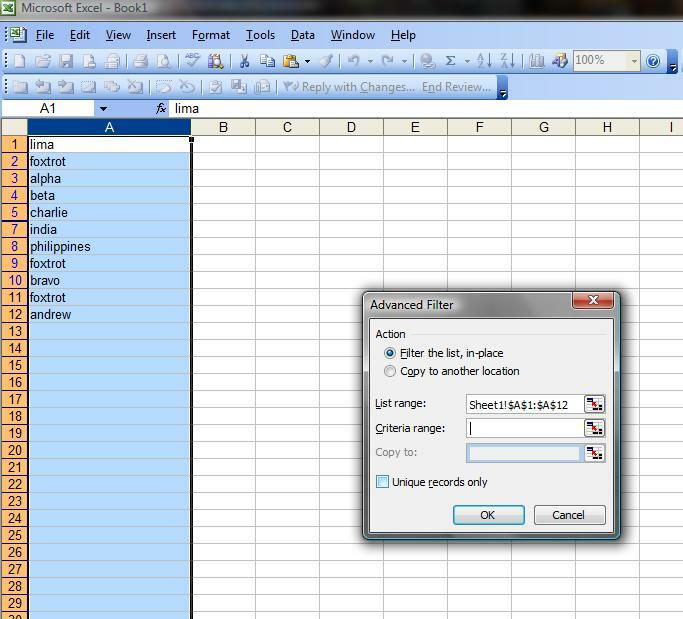 For my first entry for the day, I will share a tip on How to Print just a portion of your MS Excel's Worksheet. To start printing a portion of your worksheet, follow these steps. 2. 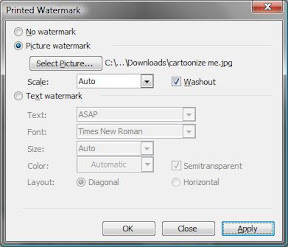 Click the File > Print menu or just press Ctrl+P to display the Print Dialog box. 3. In the Print What section, choose the "Selection" option. There you have it! Enjoy your coffee too. 12:00 PM (lunch time). Rodell forwarded me the furnished DRP (Disaster Recovery Plan) word document for our Biometrics system. Now I need to print and file it. But first I have to put a background image on it as per standard documentation requirement. 2. 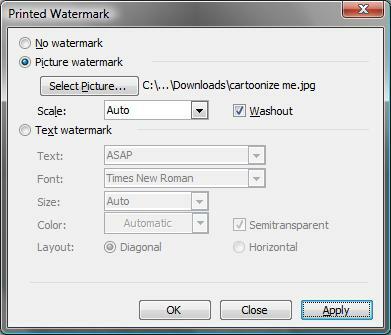 On the Printerd Watermark dialog box, Tick the Picture Watermark. 3. Click the Select Picture... and browse for the image you want put on background. The background should appear now. 11:42 AM - Just came back from e-Payment meeting, when Mr. Jonathan (the congressman) approach my desk to ask something. Bro. Can you please take a look on my excel spreadsheet? How can I combine cell contents here in excel? Where A1, B1, C1 are the cells you want to concatenate. The ampersand character (&) tells Excel to "add" text together to create a new text value. I was late for work today, It was Friday sickness. A note on my desk that says "Return call to Ms. Niña", started my day. Sat on my chair and dialed her local number. It's me. You need me right? Oh I'm sorry. My phone's caller id isn't working for a week now. Anyway I just want to ask you for... [a date?] 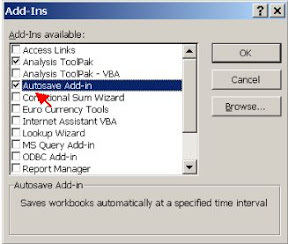 on How to enable AutoSave in Excel 2000? I see. so they haven't upgraded your ms office yet. 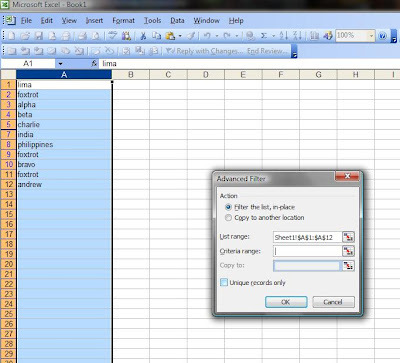 To enable MS Excel, follow this. 1. Click the Tools menu, then choose Add-Ins. 2. Check the AutoSave add-in on the Add-Ins dialog box. To change the default AutoRecovery option in Excel. 1. 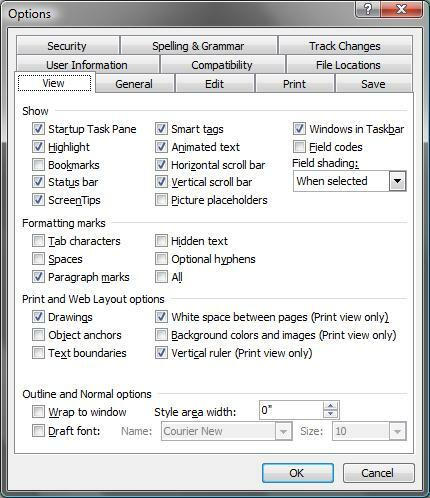 Click Tools menu, select Options, and then select the Save tab (this is a new tab in Excel 2002 and Excel 2003). 2. Change the Save AutoRecovery info every: ... minutes, set the Auto Recover save location, and then click OK.
Just before lunch time, my boss sent me an excel document that contains list of computer models. Here requirement is to get only the unique entries from the huge list. How did I get it? Here is how you select unique entries from a list in a column. 1. Select the column you want to filter. 2. Go to Data menu, click filter and then Advanced Filter. The list should now display only unique data. While having my mid morning coffee, Mr. Crush-of-the-town approach me and asked an interesting question. Buddy, It is easy to hide and unhide a column on a spreadsheet right? Hmm. I haven't think about that. Let me see. Here's a good workaround for Mr. Crush-of-the-town problem. 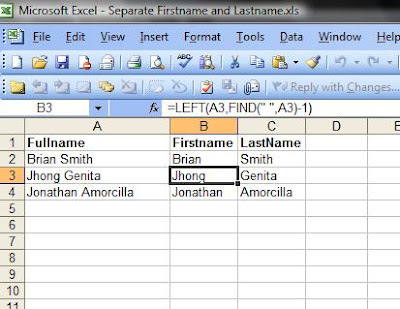 To display a hidden first column (left-most) in MS Excel follow these steps. 1. Click Edit > Go To... or press F5. Viola the missing first column appears! 9AM in the office. I was so busy attending Audit matters when my phone rang. Called Id tells me that the call is from Payroll department. Hello? How can I help you? Bro. Are you busy? can you talk right now? Sure carol. What is it? 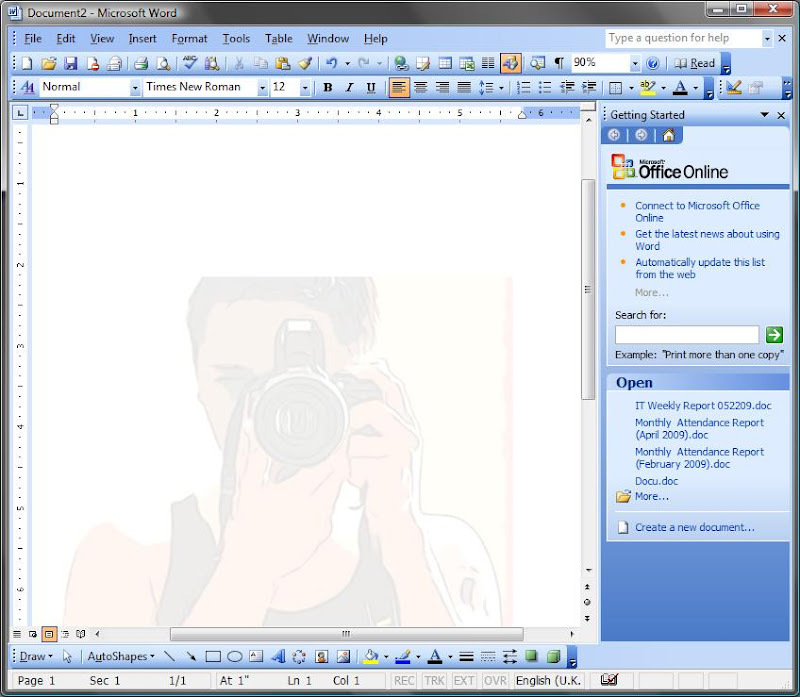 I have two copy of word documents, I wanna see the changes my team did from the old document. What can I do? If you have Word 2003 and Up. 1. Open the newer version of the document. 2. Click Tools menu then choose Compare and Merge Documents. 3. From the Open dialog box, locate the older word file. If you have Word 97 or Word 2000. 2. Click Tools menu then choose Track changes > Compare Documents. 3. From the open dialog, locate the older word file. 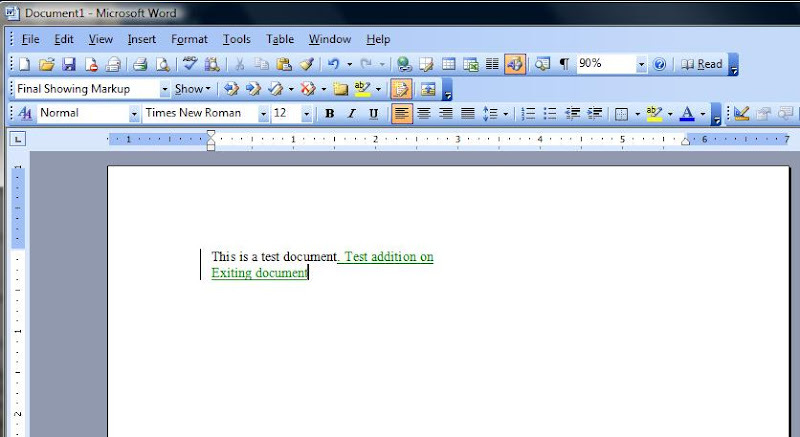 MS Word will automatically highlight the changes. It's time for my post-lunch coffee, when my IP phone rang (outside line is displayed on caller ID). Hello. IT. How may I help you? Kuya, do you know how to count the number of blank cells in Excel? Okay wait. Let me find it for you. I opened my excel software then hit the F1 key. After seconds of searching, I found the answer. To count the blank cells, use this formula "=COUNTBLANK(range)"
COUNTBLANK returns the number of blank cells, excluding those that have a zero displayed if you chose to display such values. Good Morning! 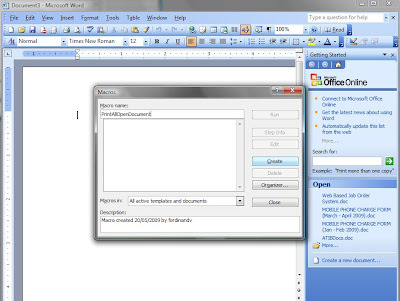 Do you know a way to print all open documents in MS Word? It to tiring to manually switch between documents and then choosing to print each one. As usual the office hacker must go to work. 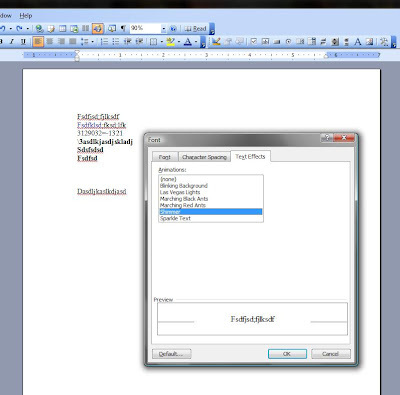 Unfortunately, MS Word don't have existing function to do this so I suggested that he use Macro. Since he is not familiar with it, I took the liberty to elaborate. 4. 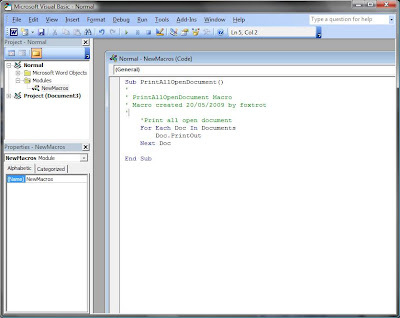 The Microsoft Visual Basic Editor will open. 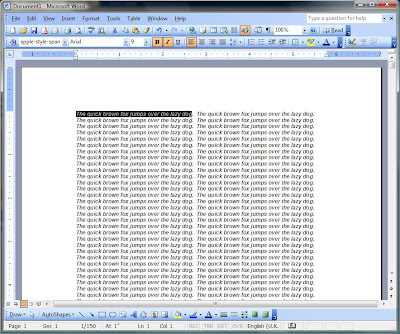 Copy and Paste the following code between "Sub PrintAllDocument()" and "End Sub". 5. 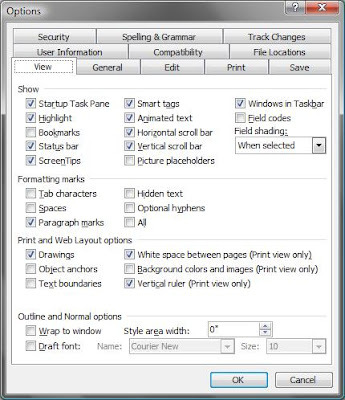 Now Save it using the menu File>Save Normal or click the save button on the toolbar. The Close the editor. 6. Back to your document. Click Tools>Macro>Macros. Whew. We're done! Your open documents should be printing now. Isn't cool if your spreadsheet has alternate row shading?. You can attain this using excel's conditional formatting option and its dynamic. It is easy. 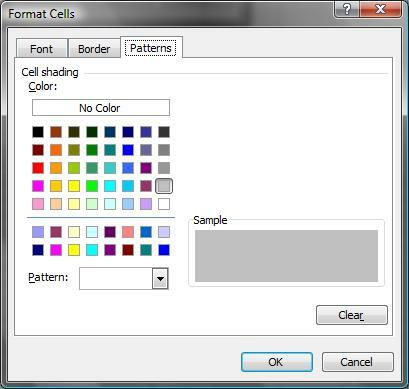 - Click the Format... button and then select the Patterns tab and specify a color for the shaded rows. - Click OK button to return to your worksheet. I just came from the gym and its already past 7PM, Dingdong.. my messenger popup a window. Hey are you still there? No. Im not here anymore. C'mon men, need help. Do you know how to calculate the number of days in a month in excel sheet? I open up my browser and ask Mr. Google. Then theres the formula. To calculate the number of days in a month, use the following formula. Where A1 contains a date. I already tested it on MS Excel 2003. It should be working. Hey cutie, I need help. 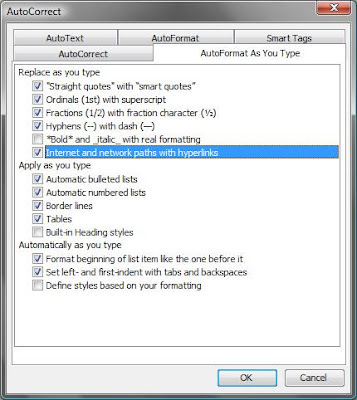 How can I turn off automatic hyperlink in my MS Word? Is it possible? [Is this the gay guy?]. Ahhm, sir joel.. yes its possible. Just follow my lead. 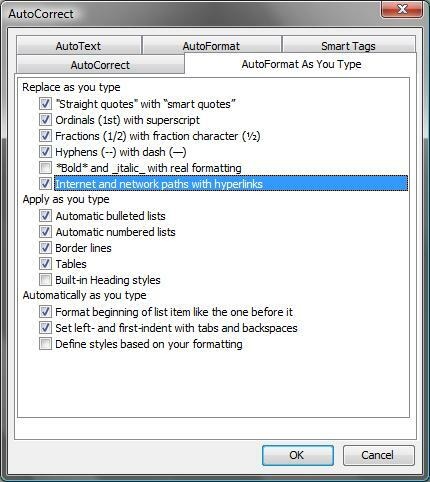 - On your MS Word, Click Tools then select Auto Correct Options. - From the AutoCorrect form, click the tab that says "AutoFormat As You Type"
- Then under "Replace as you type" group, uncheck the tick with label of "Internet and network paths with hyperlinks"
- To finish, click OK button. There you have it sir, Did it work? Yes it did! Thanks bro.